Hello Linux Geeksters. As you may know, QupZilla is a lightweight web browser, built on QtWebKit. 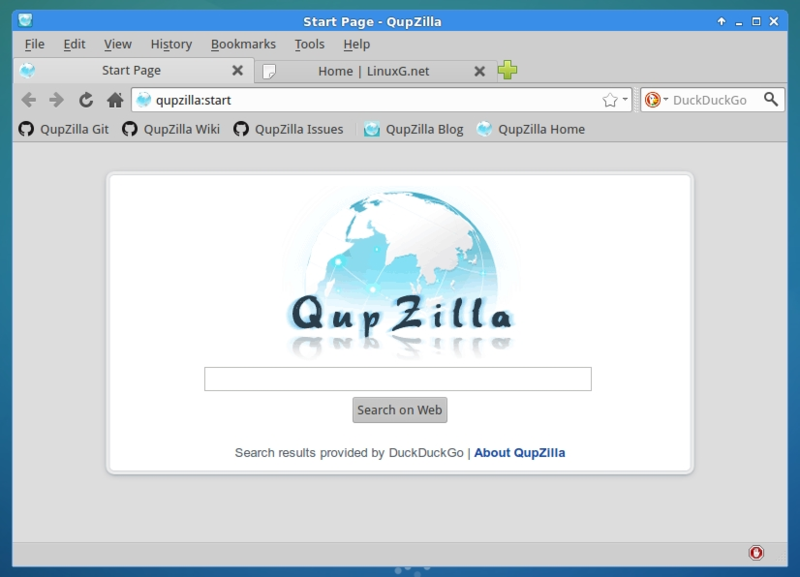 QupZilla includes all standard functions of a modern browser, including bookmarks, history, tabs. And it’s power can be extended via plugins, like AdBlock, RSS reader, and many others. In this article I will show you how to install QupZilla 1.8.5 on Ubuntu 15.04 Vivid Vervet, Ubuntu 14.10 Utopic Unicorn, Ubuntu 14.04 Trusty Tahr, Ubuntu 12.04 Precise Pangolin, Linux Mint 17.1 Rebecca, Linux Mint 17 Qiana, Linux Mint 13 Maya, Pinguy OS 14.04, Elementary OS 0.3 Freya, Deepin 2014, Peppermint Five, LXLE 14.04, Linux Lite 2.0 and other Ubuntu derivative systems.